The following conversation took place in my imagination. 2nd Grader: Mr. Schu, I read and loved Judy Moody Girl Detective. What should I read next? Mr. Schu: Isn't Judy the best? Have you read Clementine by Sara Pennypacker? 2nd Grader: I've read every book in the Clementine series. Mr. Schu: Ivy and Bean? 2nd Grader: Mr. Schu, you told me about Ivy and Bean months ago. I love Sophie Blackall's illustrations. Mr. Schu: I know! I know! 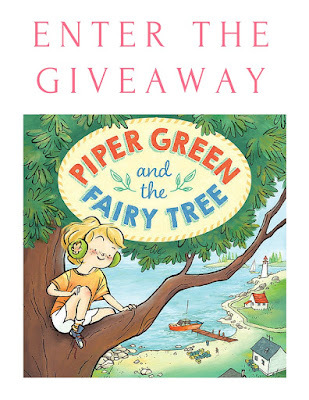 You need to read Piper Green and the Fairy Tree. It is a new series written by Ellen Potter and illustrated by Qin Leng. Hold on. I'll get a copy for you. 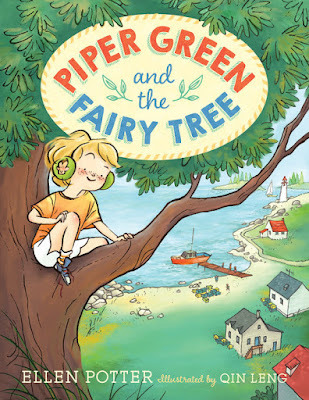 Do you want to know more about Piper Green? 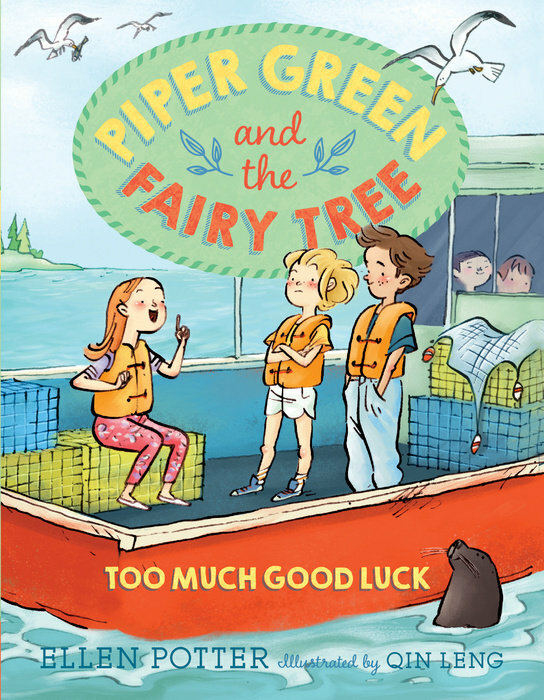 Well, it is your lucky day because Ellen Potter dropped by to chat with me about Piper, Qin Leng, reading, and school libraries. I wrote the words in orange, and she wrote the words in black. Thank you, Ellen! 3. She will break her left tibia while ice skating when she’s 12. Don’t tell her. The Mink Island School is the school I wish I had attended when I was a kid. I think Qin Leng’s illustrations are delicious. Seriously, they make me hungry, like looking though a bakery window full of gorgeous confections. School libraries are not being used to their fullest potential. If they set up some beds and a mini-fridge, book nerds like myself could rent out spots and have all-night reading marathons. Come on, school libraries . . . THINK! Reading is the only activity that I can do for hours at a time without stopping to wonder about things like why there isn’t mouse-flavored cat food. Mr. Schu, you should have asked me how I embarrassed myself at a fifth-grade speech contest, because I have a REALLY good story about that little incident. Oh well. I am giving away a copy of Piper Green and the Fairy Tree. 1. It will run from 9/4 to 11:59 PM on 9/5. 2. You must be at least 13 to enter the drawing. Borrow Piper Green and the Fairy Tree and Piper Green and the Fairy Tree: Too Much Good Luck from your school or public library. Whenever possible, please support independent bookshops. Thanks you, Mr. Schu, for having me on your blog! You know that candy store owner in Charlie and the Chocolate Factory? You remind me of him . . . only with books instead of gum drops! Thank you, Mr. Schu, for being such a superstar!